When and how should you make your kids financially literate? 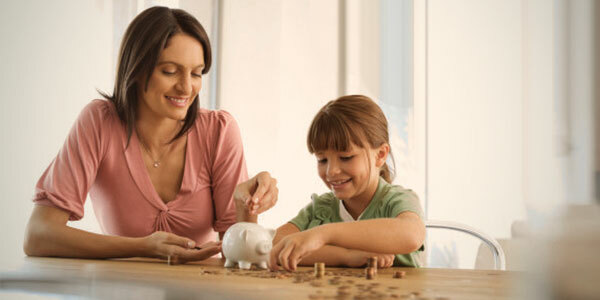 Do you often wonder how to teach money management skills to children? Read this article to know about the right strategies. Do you often wonder how to teach your kids money management principles so that they can manage their finances efficiently when they grow up? You would think that it's not appropriate to teach money lessons to children unless they enter their teen years. However, it's not always true. There are certain money lessons which you should start teaching your kids right from young age. Experts suggest that you should start introducing your kids to money management when they are 2-3 years of age. At this age, introduce your children to dime, penny, and nickel, and teach them how to differentiate. Experts suggest that the age when the kids start learning social norms like saying “Thank You” and “Please”, it is the right time to have an open conversation regarding money. At this age, you can take your kids to the bank and introduce them to other real-life scenarios. Also, you should let your children know that talking about money is a private conversation. It is quite important to teach your children that everyone has to work hard to earn and that money doesn't grow on trees. You should teach this when they're at junior school. When your kids see bills coming out of ATM machine, they might think that money is infinite. Instead, they should know that the bank is keeping your money safe. You can also walk a step forward by assigning them some simple household chores and giving them cents or dollar bills (depending on the work) on completing the task. This will help them understand that they need to work hard to earn dollars. Budgeting - The most essential and crucial step in financial planning. After explaining the principles of budgeting, allocate a certain amount to them. Ask them how they can make a plan of buying their essential items and save a certain amount. Doing so, you can build the habit of making good financial decisions. At the same time you can make sure they're capable of making good decisions. You can teach money management strategies without even discussing about money. Wondering how's that possible? Involve your kids to bake a homemade pizza instead of buying one from the shop. This way, they'll learn that they've to wait in order to have tasty and healthy food. Likewise, whenever they ask for something, do not give them immediately. Ask them to wait for sometime to get it. In continuation to the last point, also make your children practice the habit of saving. Whenever your son/daughter asks for a toy, tell them to save the required amount. Give them cents or dollar bills (depending on the amount of work) for simple household chores, or arranging their belongings nicely. When they're able to save a certain amount, give the rest of the amount and buy them the toy. Already the children remain busy with studies and after school activities when they're at their pre-teens or teens. So, instead of just sitting and teaching them money management skills, try to make it an enjoyable affair. One of the easiest ways to do so is to take your kids to the grocery store when you go for weekend shopping. Hand over the list of things you need to purchase and ask them to find good deals on them. When you've selected the items to purchase and you're at the register, make sure the kids watch how you're buying the things and paying money. This way, they'll learn the value of money. Apart from this, you can also learn how to teach kids about money age-by-age. Page loaded in 0.877 seconds.